Capt. Ward with one of four bonefish caught in the Marquesas. I mention my buddy Capt. Mike Bartlett on this blog a lot and that's because he rarely talks about himself. 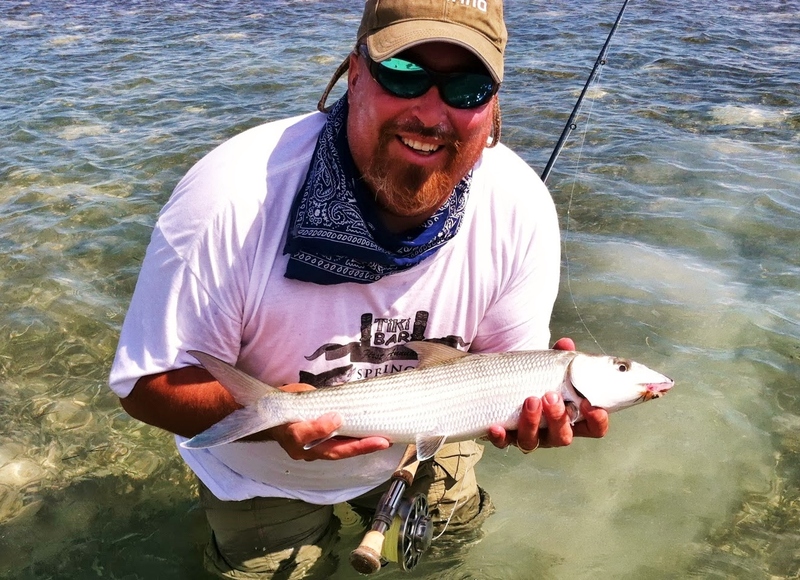 He just made a recent post on his own blog, The Key West Flats Angler, about fly fishing for bones in the Marquesas with Estero Bay guide Capt. Ward Kowalyk. Most of the Keys based flats guides are so focused on tarpon right now that they won't even consider looking for anything else, even when the conditions scream at you to change your plans. Mike is one of the few captains that will toss everything out the window in June as long as it will catch his anglers some fish, even if it isn't a tarpon. That's why I consider him the best there is down there. I can't wait to get back down there on the bow of his skiff next month.